The University of Vermont wants to sell off 44 acres of prime real estate it owns in South Burlington — to earn some revenue and to enable housing to be built on the property. Developers have until August 18 to respond to a request for proposals that UVM issued June 20. The land is south of Interstate 189, near the intersection of Spear and Swift streets. The solicitation seeks a buyer "with the intention of developing housing that will be made available to the community." The undeveloped parcels are about about 1.5 miles from the campus, near the East Woods natural area. One parcel, identified as the Edlund South Tract, is 33.9 acres. The sloping stretch of woodland on the west side of Spear Street runs close to Interstate 189 and Potash Brook at its northern end. It's zoned institutional/agricultural. 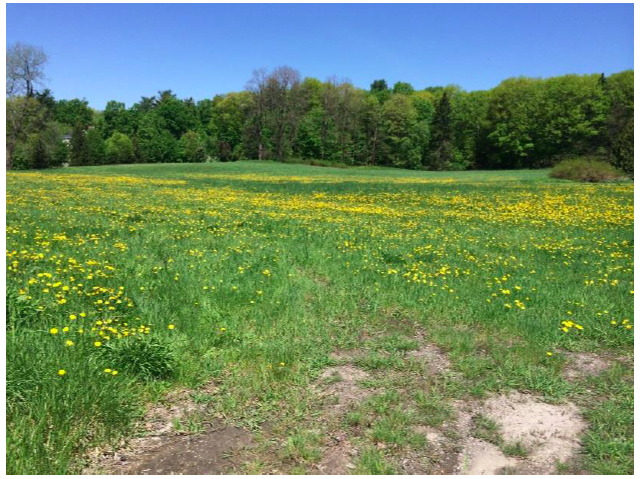 The second parcel, the Martin Tract, is a 10-acre stretch of mostly cleared land on the north side of Swift Street, across from the UVM Wheelock Farm and community gardens. The sale would not include the farm or gardens. The Martin Tract is zoned to allow up to four residential units per acre. It is imperative that The University of Vermont continue to create the capacity to make strategic investments that will allow the institution to improve quality and compete effectively in the higher education market. To that end, the university must examine continuously its allocation of resources and make adjustments in favor of expenditures that most closely align with its core mission of educating students. The statement went on to say that the sale could help add "needed housing" in Chittenden County. Some South Burlington residents are already raising concerns about the potential development. 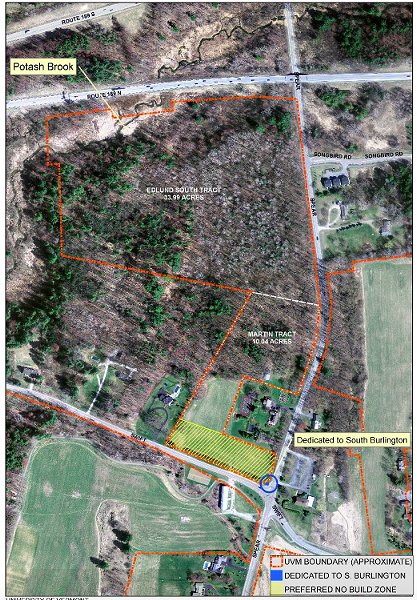 At a city council meeting in July, South Burlington Land Trust president Sarah Dopp expressed reservations about the sale and the lack of communication from UVM. The RFP "just dropped out of the sky" and surprised people, Dopp told Seven Days. The trust is hoping to partner with like-minded organizations and submit a conservation proposal to UVM in response to the request for proposals. But with only two months, financing is difficult to arrange, she said. "We don't really know what the great rush is." While we understand that there may be concerns about the development of the parcel, UVM has included among its selection criteria for developers and development projects: amenities, demonstrated history of stewardship and community interest, and positive benefits for UVM, the City of South Burlington, and the region. UVM officials have had preliminary conversations with the City of South Burlington about a zoning change, but no formal request has been submitted, said Paul Conner, city planning and zoning director. The change would first go to the city planning commission for deliberation. The city council would have the final say. Conner noted that the parcels are significant. "Between the two of them, it's a large piece of land." UVM has owned most of the property since the early 1960s. The request for proposals allows for a range of scenarios, including immediate sale of the property as is and making a sale contingent on zoning and permits for housing. Selection criteria include price, the proposed maximum and minimum number of units, the amount of the housing that is affordable, and the mix of rental and ownership units. The RFP does not require any units to be reserved for UVM but opens the door to such an option. "UVM would consider providing the buyer/developer an opportunity to market the housing units to UVM faculty, staff and affiliates," it states.